WASHINGTON -- The Newseum is cutting the size of its staff again because of declining revenue from its primary funder, the Freedom Forum endowment. 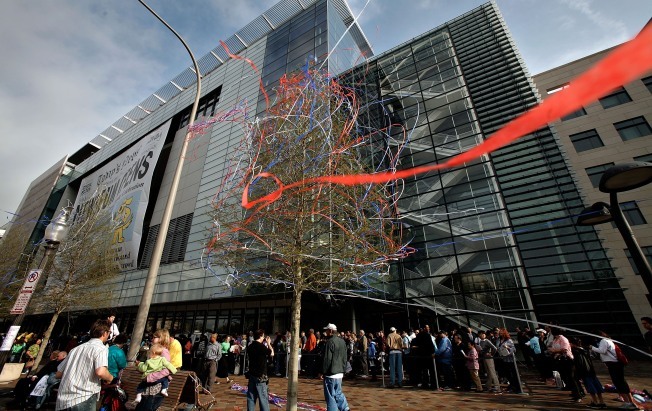 The museum laid off 13 people last week, Newseum spokeswoman Susan Bennett said Monday. Combined with an earlier round of cuts in November, the museum staff has been reduced by 31 positions to 219 jobs from 250 jobs. Newseum officials do not expect any more cuts this year, Bennett said. None of the layoffs affected programming or education staff at the museum, which focuses on the history of news. Instead, they were all "behind the scenes" jobs, such as administrative staff. The Freedom Forum endowment has lost about a third of its value, declining to $400 million from $600 million.